Today was day two of Dave's vacation our staycation Natey's birthday fun week. 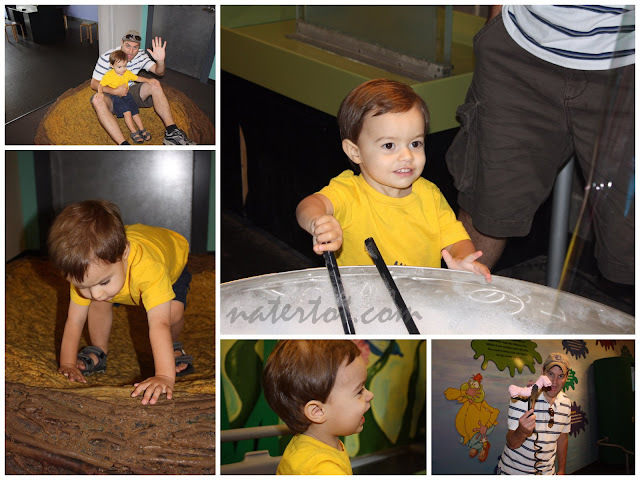 We went to the Long Island Children's Museum. I discovered you can sign up for free passes at the library. Yay. But I did have to sign a waiver in order to get the passes and I'm pretty sure if I lose the laminated paper they'll publicly humiliate me by posting my library book history for all to see. I swear all those teen paranormal romance novels were for Nate. He's really advanced for a toddler. Nate still enjoyed the seeing eye dog, but wasn't nearly as enamored with him as last time. He didn't seem particularly in love with any one thing. He was content to just run around in circles and explore everything. 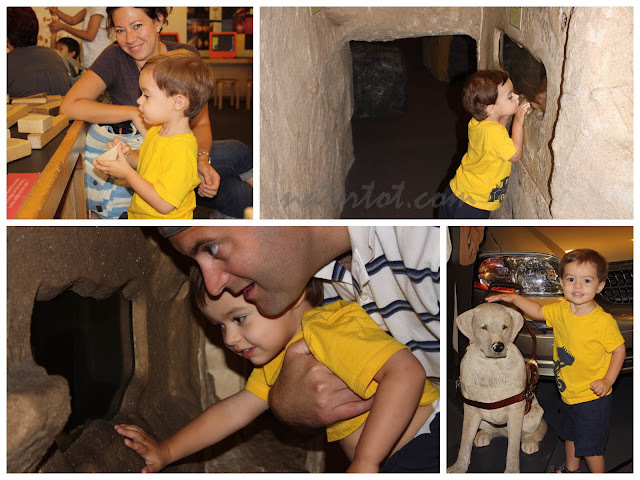 Do you have a children's museum near you?